Publishers operating in Latin America have reportedly received "urgent" requests from a large Spanish e-book distributor to update their respective metadata, signaling Apple's iBookstore may soon rollout in the region. A report from book publishing blog Publishing perspectives (via Electronista) claims Libranda, the region's major e-distributor, has requested Spanish publishers update their metadata by August 30 to purportedly meet Apple iBookstore standards. Libranda, which is owned in part by the "Big Three" Spanish publishing houses Planeta, Random House Mondadori, and Santillana, reportedly did not comment on when the iBookstore would launch but the blog notes the distributor began sending out requests in July stating Apple would allow only U.S. dollars, British pounds and Mexican pesos as accepted currencies. The stipulation may cause problems with other online stores selling e-books from Libranda as they price content using local currencies like Brazil's real. Publishers wanting to use the U.S. dollar in Argentina and Colombia will have to base transactions out of the Falkland Islands and Guyana, though the solution may prove troublesome. 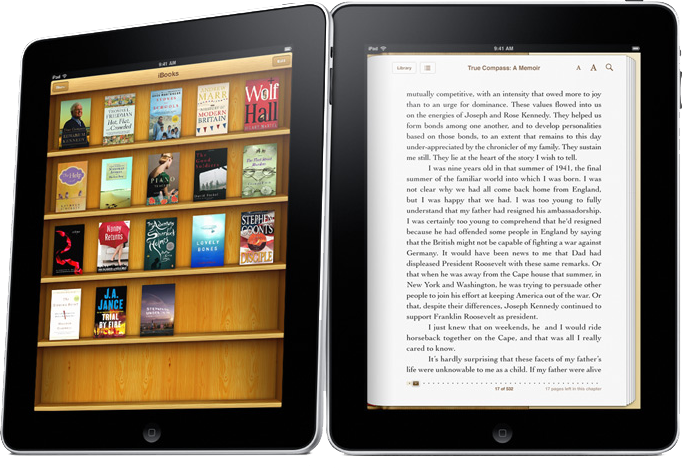 Apple will reportedly be running Latin American iBookstore operations out of Madrid until it finds a more suitable option. The iPad maker has yet to release any official information regarding the iBookstore's Latin American debut.